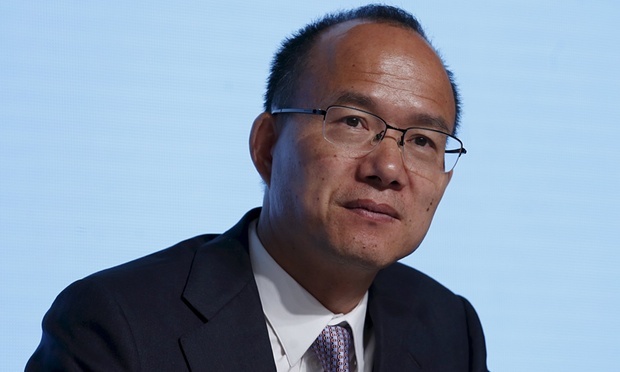 (P1) One of China’s richest men, Guo Guangchang, has been DETAINED by police. (P2) His company, Fosun International, confirmed on Friday that he was assisting authorities with an investigation. (P3) The confirmation followed reports that he had gone missing. (P4) Staff at Fosun had been unable to contact Mr Guo for several days. (P5) Fosun, one of China’s biggest private CONGLOMERATES, briefly HALTED trading of its shares on the Hong Kong STOCK EXCHANGE following the reports. (P6) The company said that its shares would RESUME trading on Monday. (P7) Fosun said that Mr Guo, 48, a TYCOON who has been described as China’s WARREN BUFFETT, was still able to be involved in major decisions. (P8) It was not clear why police had detained him. (P11) Mr Guo was LINKED to a CORRUPTION court case in August. (P12) BBC Asia-Pacific ANALYST Michael Bristow says Mr Guo’s EMPIRE extends across the world, while Forbes magazine ESTIMATES his fortune at $7bn (£4.6bn). (P13) Fosun Group has business interests including media, INSURANCE, REAL ESTATE, and RETAIL. Do you think that Mr. Guo is assisting an investigation, or being investigated himself? Have any important business people in your country gotten into trouble lately? CEOs of major companies now get the kind of attention that athletes and rock stars get. Why is this true? Some analysts have said that the 21st Century belongs to China. Will China be the world’s leading nation in 50 years?